You will never run out of adventures in Banff and Lake Louise! Soaring to new heights in the Lake Louise Gondola to view bears and other wildlife. Hiking the best high alpine trails in the Canadian Rockies in Sunshine Meadows. Testing your nerves on Mt. Norquay’s sky high Via Ferrata. All this, plus cycling, hiking, lake cruises, sightseeing heli-flights, heli-hiking tours, horseback riding, fishing excursions, caving expeditions, rafting, canoeing and kayaking. To learn more about the local area, rent a bike, or book tickets for many of Banff National Park’s best summer attractions, stop by the SkiBig3 Adventure Hub. To learn more about the local area and book tickets for many of Banff National Park’s best summer attractions – visit the SkiBig3 Adventure Hub. Here you can also find a wide variety of great summer and winter retail items to help you during your stay, and remind you of your Banff and Lake Louise adventures. Summer operations at Mt Norquay start on Saturday, June 14, 2019. To book your Via Ferrata experience, stop by the SkiBig3 Adventure Hub. Looking for the thrill of a lifetime? Challenge yourself to climb Banff’s only Via Ferrata (Italian for the Iron Path) at Mt. Norquay. Rated the area’s top activity on Trip Advisor, this exhilarating ascent into the cliffs high above the ski area offers jaw-dropping views. Lead by a certified guide, you make your way up a fixed anchoring system of cables, ladders and a suspension bridge. The exposure is real, but so is the safety. No climbing experience is necessary, just the physical ability to climb a ladder and a healthy spirit of adventure. The 5 hour Skyline Route includes an exciting high traverse on a sheer rock wall and crosses an “airy” 55m suspension bridge. 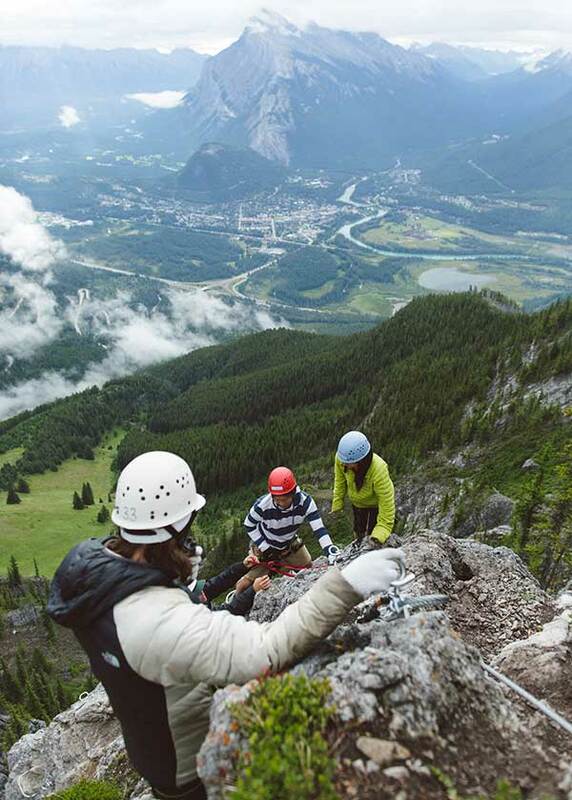 The 6 hour Summiteer Route is the pinnacle of Norquay’s Via Ferrata adventures. A continuation of the brand-new ‘Skyline’ route this 6-hour route traverses the alpine ridge crossing an additional 3-wire suspension bridge over an impressive chasm. You’ll also get the chance to enjoy a round-trip ride on the historic North American Chairlift, learn about the important connection between the wildlife and the environment in Banff National Park, and enjoy a refreshing drink on the rooftop patio of the Cliffhouse Bistro. Want the view without the climb? 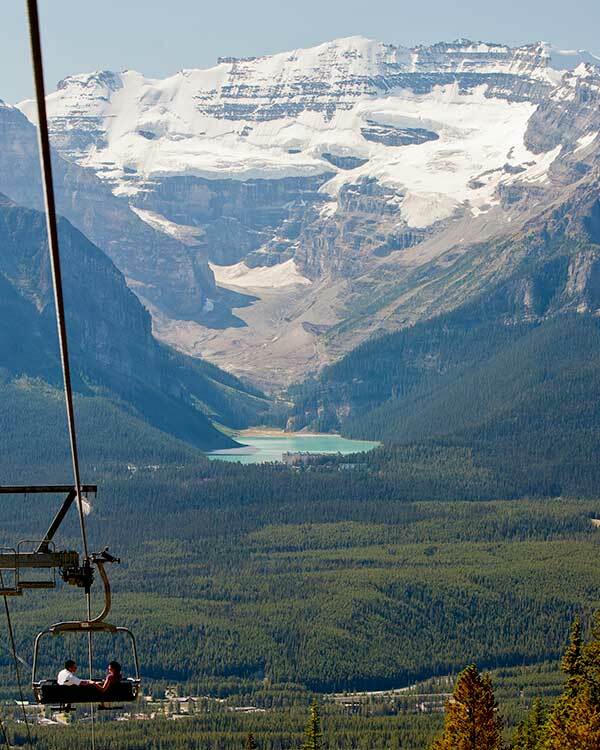 Soar above Banff with a ride on the Sightseeing Chairlift. Perfect for friends and family, enjoy breathtaking views of Banff and the Bow Valley from 7000ft. Enjoy breathtaking alpine views and the chance to spot grizzly bears who call these slopes home during the summer months on a spectacular ride up the Lake Louise Gondola. Cruise for 14 minutes in an open chair or fully enclosed gondola to 2,088m (6,850ft) amid stunning mountain scenery. Up for a challenge? Then tackle the summit of Mt. Whitehorn. Whatever your fitness level, also be sure to bring your camera to capture your own special memories of soaring peaks, stunning glaciers, lush carpets of alpine wildflowers fed by clear springs and delightful glimpses of wildlife. Upgrade your Gondola Lift Ticket to a Ride & Dine package and enjoy an amazing buffet breakfast or lunch and more. A gourmet lunch option “Gondola & Gourmet” is available starting June 11. Lake Louise Gondola is open seven-days-a-week starting May 17, 2019. Visit the SkiBig3 Adventure Hub for prices and bookings. A 45 minute easy, guided informational walk that addresses a question most of us have here in bear country, “What should I do if I see a bear?” You’ll learn about bear behavior and how to stay safe. Add Ons: 45 minute and 90 minute interpretive tours can be added to your Sunshine Village Sightseeing tickets. Learn more about the alpine flowers in Sunshine Meadows. Also, visit the SkiBig3 Adventure Hub for more information and to book your hiking experience to Sunshine Meadows. Book an overnight stay at the Sunshine Mountain Lodge. The lodge is open for visitors from June 28th through until September 8th. Sunshine Meadows is one of the most stunning alpine setting in the Canadian Rockies. Situated at an average elevation of 2,220m (7,300ft), the Meadows straddle the Continental Divide and the boundary between Alberta and BC. 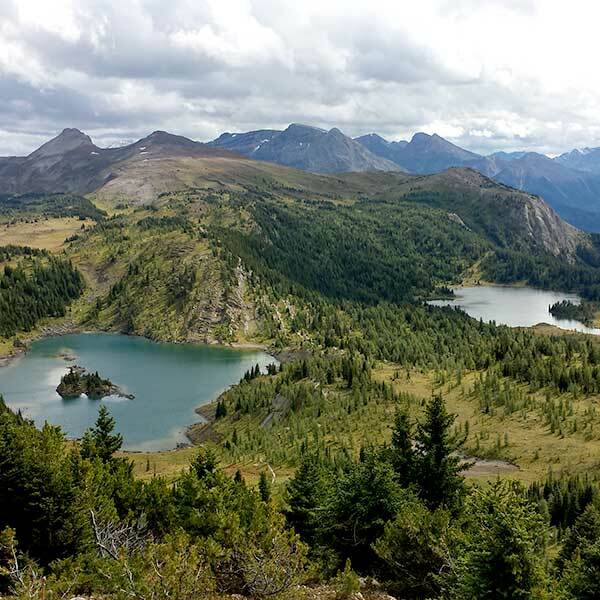 A network of gentle trails wind their way through the Meadows and offer a range of walking for all abilities; from easy one and two hour strolls, to challenging full-day hikes to Quartz Ridge, Healy Pass, or beyond. You can choose to hike on your own or join one of the full-day guided hikes. Many of the trails are considered gentle and suitable for everyone. Summer operations at Sunshine Village start on Friday, June 28, 2019.